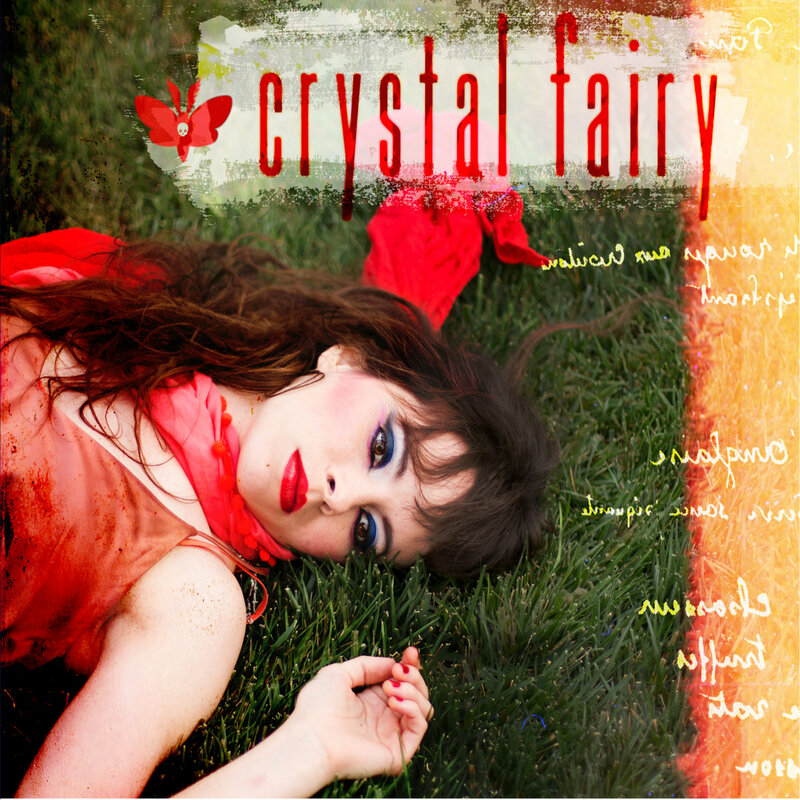 Billed as a “new band” rather than a “super-group,” Crystal Fairy features Buzz (guitar) and Dale (drums) of the Melvins, At the Drive In/Mars Volta’s Omar Rodriguez-Lopez (bass), and Le Butcherette’s front-woman Teri Gender Bender (vocals, guitars, keyboards). Inspired by the Melvins/Le Butcherette’s 2015 Chaos As Usual tour, where Gender Bender found her way on stage performing Bikini Kill songs with the Melvins, Crystal Fairy sounds a little like each of the collaborators main projects while also evoking a sound of its own. It would be easy to say this sounds like the Melvin’s with Teri singing. But, it doesn’t really. Some tracks retain the hallmark Melvin’s riffage we’ve become accustomed to (“Drugs on the Bus,” “Bent Teeth”), while others recall Le Butcherette’s (“Chiseler,” “Necklace of Divorce”). At times it does seem like a more restrained version of the Melvins as a backing band. Sometimes I wish it was a little louder, a little noisy-er. But, don’t get me wrong, there are some true rockers here and -as always- Teri sounds possessed. On nearly any recording featuring Teri’s vocals, it’s impossible to imagine her doing anything other than bouncing around, contorting her body, and dancing as she sings. Her vocal energy and delivery is always engaging and this recording is no exception. The 11 songs on this album (41 minutes) show the diversity of their collaborators. Be it the sludgy “Moth Tongue” or “Secret Agent Rat,” the frenetic “Posesión” and “Vampire X-Mas,” or the mid-tempo “Sweet Self,” the bands chemistry is undeniable. Initially, I didn’t think Rodriguez-Lopez’s presence was felt strongly in the overall style, but repeated listens show his fingerprints are all over this, particularly “Under Trouble” and his bassline on the bands anthem, “Crystal Fairy.” And really, it’s no surprise he became involved in the project having produced that last few Le Butcherette’s albums and collaborating with Teri on their Bosnian Rainbows project. There’s an infectious quality to these songs that no doubt results from the experience of the Melvins, the musical dexterity of Rodriguez-Lopez, and the manic energy of Teri Gender Bender. Overall, the album sounds inspired. A simple quality that so many listeners want and so few artists possess. If you’re a fan of any of these artists, I recommend it. Never heard of these guys, great find! How’d you discover them? Thanks for reading, Julian. I’m a fan of both the Melvins and Le Butcherettes. I suppose I discovered Crystal Fiary through their social media outlets. Looks like a cool group. Thanks for the heads up and I will share future articles there. Thanks again. Awesome glad to hear it!